The Arjo Clip Slings are Specific to this Lift. 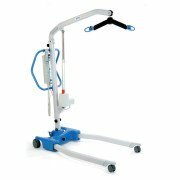 The PL350CT is a fully etectricly operated Patient Lift.. 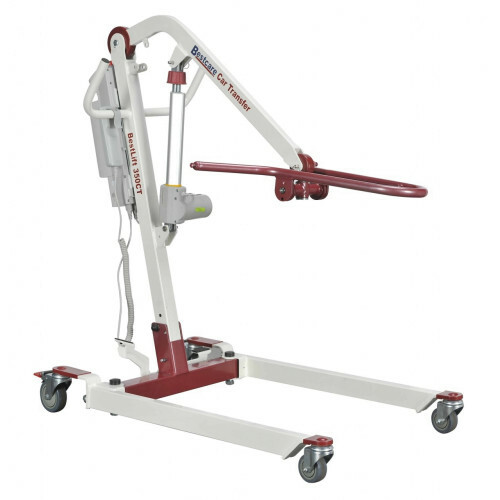 This portable lift also has the ability to safely lift patients from the car for easy transport . This lift has a unique spreader bar that can position pateints from a sitting to lying down position with minimal mvement. This system operates on a 24VDC 5AH rechargeable battery that provides about 40% more lifts per charge than competing brands. 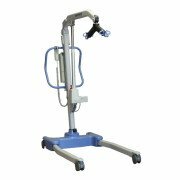 All patient lifting and lowering is performed by pushbuttons on either the hand control (pendant) or using the controls provided directly on the control box. This dual control system assures the Lift can be operated in case the hand control is damaged, misplaced, or malfunctions. The BestLift PL350CT includes a foot pedal operated base opening for wheelchair/commode access. Low base height provides maximum stability and fits under beds. This portable system can be folded down to a compact transportable unit for storage or taking on trips. Complete unit weighs 62-lbs. 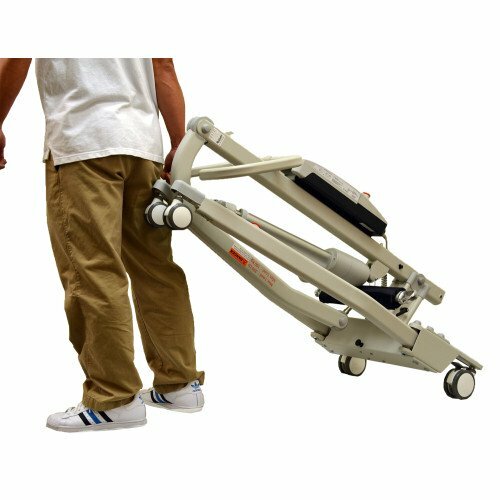 The BestLift Portable Patient Lift is constructed of high-strength aluminum, folds for transport or storage, weighs only 62-lbs, yet has a full 350-lb lifting capacity. 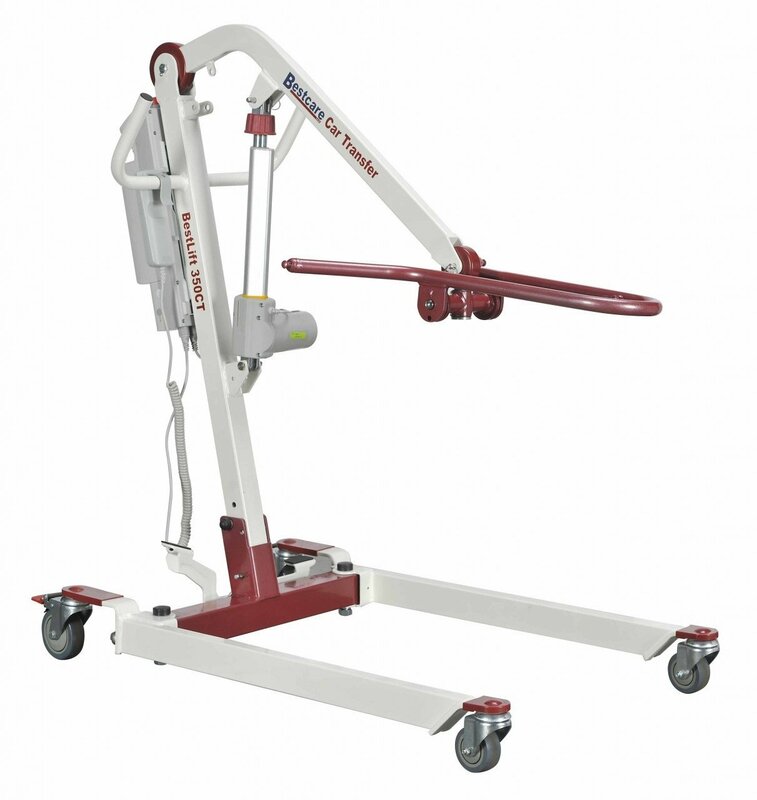 ThePL350CT Portable Patient Lift has a lift and lower emergency backup system. Includes battery and charging system with low charge and load capacity warning. 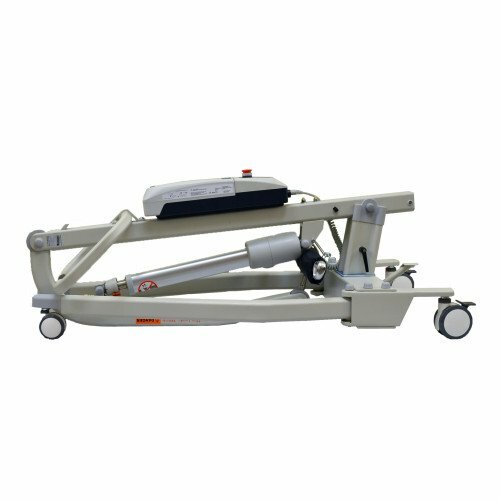 Base Open internal Width 33.1"
Maximum Lifting Height : 56.57"